UTV Bindass keeps its promise of showcasing differentiated and innovative content and returns with yet another path –breaking concept. Luxury, high profile parties, celebs, luxury, gossip, break-ups, link-ups…all this and much more goes into leading a glamorous life. 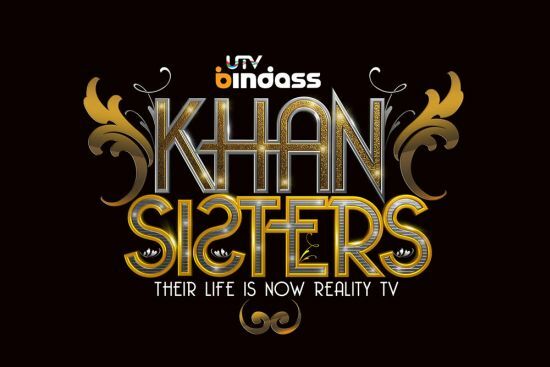 UTV Bindass’ latest show, The Khan Sisters gives you a peek into the glamorous lifestyle of the sisters, Gauahar & Nigaar Khan, while introducing a whole new dimension to reality television, an unconventional format that has never been seen on India television before. The show brings to your television screens everything that portrays how two sisters with different ideals and outlooks make their worlds eventually meet under one roof. The show revolves around the lives of The Khan Sisters and goes onto showcase various aspects of their fascinating lives, their equations with each other, their families, friends and foes along with REAL LIFE conflict, secrets, emotion and drama. All the moments whether good or bad will be captured, as a camera will constantly monitor/follow the Khan Sisters and the lives they lead being a part of the hi-profile and ever-changing, Bollywood and television industry. While Gauahar is known for being a top model, part of the Zangoora troupe and has some chartbusting Bollywood songs and movies to her credit, Nigaar has etched a name for herself in the television industry by playing the quintessential vamp on the small screen. The show essentially consists of 13 episodes showcasing a unique mixture of reality and drama with a high glam quotient. It brings to fore the lives the sisters lead in Mumbai, Delhi and Dubai, the love, the fights, the differences in their lives. Is one differentiated basis what one has achieved in their respective career, do your loved ones judge you by your ambitions and aspirations. What happens when a Desigirl gets more recognition than a Diva? Despite their differences neither can live with or without each other. The show is a window into their private world, portraying the enriching emotions and also ugly fights, it is about all those unspoken territories that happen in a celebrity’s life. As the show progresses, it will go on to divulge the developments that take shape in the lives of the Khan sisters and their family, all of this while the camera rolls on.! Watch the REAL LIVES of The Khan Sisters unfold….as the camera captures them 24×7 Their Lives are Now Reality TV!